The Daily Knitter…. New and Improved…. 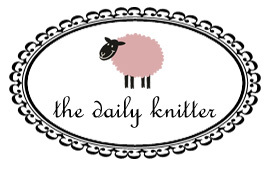 The Daily Knitter is one of my favorite web sites. Well, technically I have about 158 favorites. In their newsletter this morning, they’ve outlined all of the new features on their site and OMG, it’s awesome! Heehe. I have so many Favorites saved that I am amazed my computer can actually function!